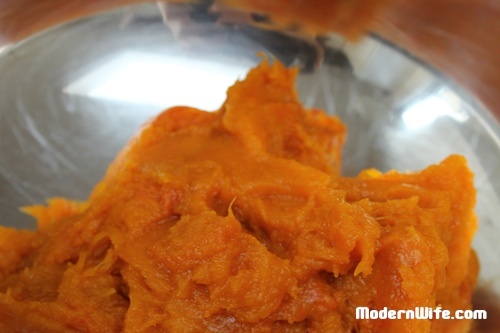 Roasting is my favorite way of making pumpkin puree. 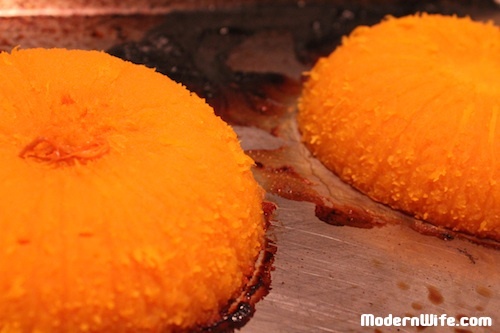 Not only is it the easiest way to do it, but oven heat also preserves the pumpkin’s sweet flavor. A pound is equal to a cup of pumpkin puree. 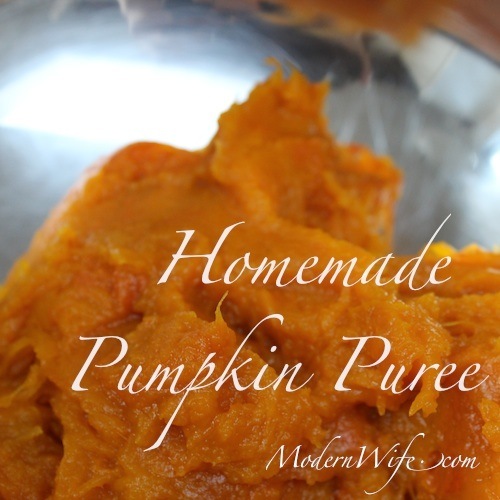 I needed 2 cups of pumpkin puree for my pumpkin cupcake recipe so I picked a 2 pound sugar pumpkin. 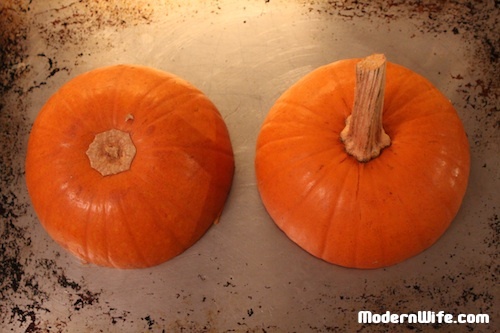 Cut the pumpkin in half crosswise. Scoop out the seeds and strings. 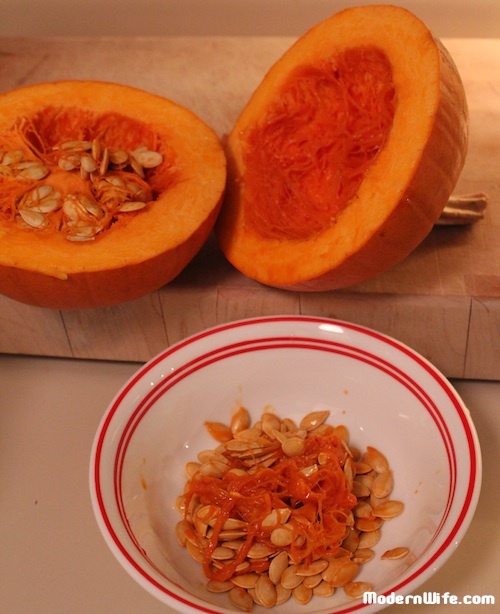 Save the seeds for roasted pumpkin seeds. Put the pumpkin cut side down on the baking sheet. Bake for 45 minutes. Check if skin can be pierced with a fork, then take it out of the oven and cool. Once the pumpkin is completely cooled, you can pull the skin off easily. 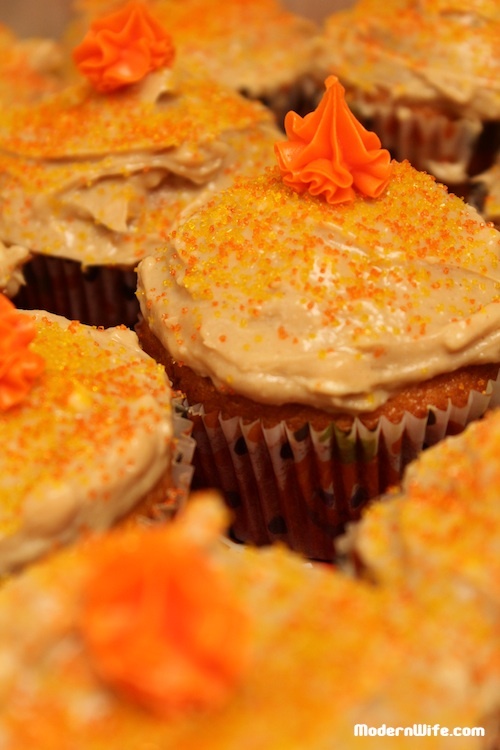 Now you’re ready to make pumpkin cupcake, or pumpkin cookies, or pumpkin pie or pumpkin ice cream.